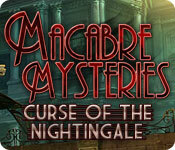 Macabre Mysteries: Curse of the Nightingale is rated 4.4 out of 5 by 75. Rated 5 out of 5 by Jackie_lantern from The Most Beautiful Game I Have Ever Played, But... I cannot believe how amazing you guys made this game, it is absolutely beautiful from the artwork, to the storyline, to the sound! I really love the game and have for 2 1/2 years now and I would just love if you guys could update the game so I can play it on my new iPod Touch since the old version is not compatible with my device. If you can, please update the game, so people who love it and can’t play it anymore like me, can enjoy it once more. Rated 5 out of 5 by mjromano69 from Macabre Mysteries: Curse of the Nightingale This game is by far one of the hardest games I have played in quite a while. I loved it for the hogs as they were very eye challenging. This game is not for people that want to zip right through. It takes time and mind memory to play. The puzzles were not real challenging, but made you think. I don't spoil alert any game I review so I won't get into the plot of the game. It was well worth the price because you just can't go in and finish the game in a couple of hrs. like a lot of people like to do. I do recommend this game for people like me that want their moneys worth. Have fun and enjoy this game. Rated 5 out of 5 by Boomer1097 from Mystery at the Nighingale I enjoyed this game. You arrive at the old Nightingale theater to explore an old mystery involving your Grandfather...then the fun begins. This is a Blue Tea game, so the graphics are excellent and the FROGs are great. The mini games are fun to play. There are morphing objects to find. There are entertaining characters and you travel back in time in some locations. The cut scenes and voice overs are well done and the music is acceptable. Your journal contains a map, objectives and information on the characters. The map is not interactive, but it does show where there are to-do items. There are a number of locations to visit, which kept things interesting. The story had a satisfying ending. I recommend this game. 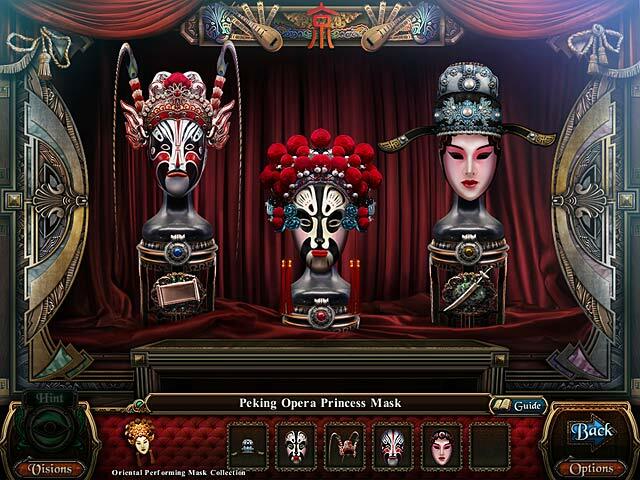 Rated 5 out of 5 by Majestyx12 from Ghost Ballerina By Blue Tea Games maker of some of my favorites, The Dark Parables series. This has a lot of the Dark Parables vibe but with more story telling. I loved the illustrations of the opera house with the performers stages and rooms. Strong man, magician, Ballerina, oriental performers and singer. 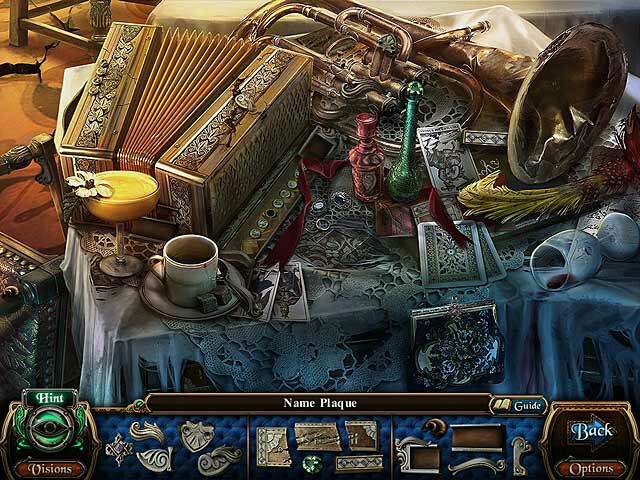 Not a fan of the fragmented Hidden objects but love the 20 morphing objects. One of my top 10. Rated 5 out of 5 by diagirlnc from Romance, Horror and Mystery I really enjoyed this game. I was drawn in to the storyline, and really felt a connection with the characters. Excellent graphics, and overall enjoyable game! Rated 5 out of 5 by 25woody53 from Incredible - Gem of a Find This game was soooooooooooooo good. The story line is riveting and you have to find out what happened. I like that their was NO occult, voodoo junk in this game. The music was very fitting for the game and created a sad atmosphere in the proper places. The voice overs were extremely well done. There were many, many areas to investigate. The hint button works in a totally different way from other games...not sure that I like this style. But the map and hint helped you on your way when you got stuck. I couldn't believe that the SE wasn't a CE. Many things to do, plus morphing objects...couldn't find the all. My current favorites are: Lord of the Statues, Dreampath: The Two Kingdoms, Infected: The Twin Vaccine and Questerium: Sinister Trinity (Another hidden gem of a game!) I highly, highly recommend this game! Rated 5 out of 5 by nwind from Visually stunning! This is from Blue Tea Games and lives up to, and maybe exceeds their reputation for creating visually stunning graphical stories. Pure eye candy! Add to that a truly interesting story and you have a winner here. I confess, I was on the fence between four stars and five on this one, if it were possible to mark it 4 1/2, I would have. Where, you might ask, did this masterpiece fall down? I found the set, beautiful at every turn, to be quite large and complicated. Sometimes I knew where I was and knew where I wanted to go but couldn't remember how to get there. I do feel that the maps were not well done and did not help clarify my route. In addition, the help button gave no directional assistance. All in all, very small flaws in an otherwise superb game! Rated 5 out of 5 by panicbear from Must Love FROGs In this game, you explore a deteriorated old theater and glimpse ghostly visions of its glamorous heyday. I enjoyed it quite a bit, but there is very little variety to the puzzles: it's just one Fragmented Object Scene after another with very few other types of minigames. If you like FROGs, you'll probably love this one. SPOILER for a story plot hole, though... Unless I missed something, you never find out what happened to the relative who summoned you there! That seemed like a pretty large oversight in the writing. Maybe if you buy the Collector's Edition, you find out in the bonus chapter, but it seemed weird that it wasn't mentioned in the main game. Rated 5 out of 5 by missgranny from Stunning Another excellent game from Blue Tea,Loved everything about it, superb graphics, very sharp, voice overs, HOS, mini games really really good. Great story line and a very good ending, especially for a SE. Too many games end abruptly but with this one everything is explained. Well done to the developers and BF,a game to be played over and over again. Congrats all round. 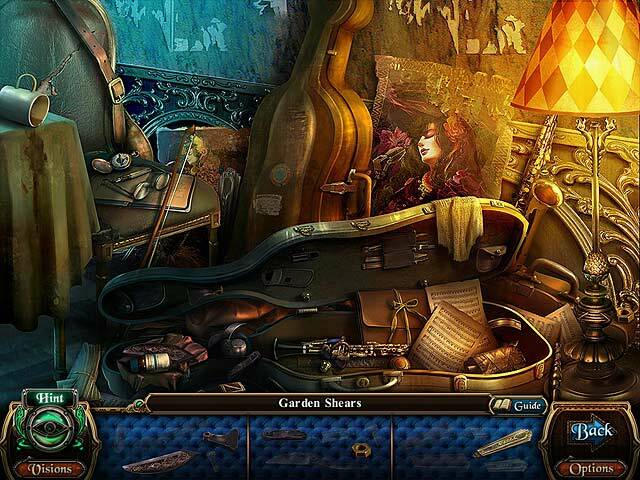 Rated 5 out of 5 by Myoscar from Great game To many hidden objects. Could use more puzzles. Otherwise great game.